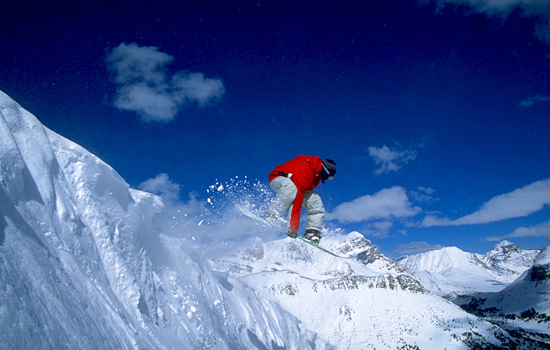 In the pristine alpine country located on the eastern approaches of the Crowsnest Pass through the Rocky Mountains in the East Kootenay region of southeastern British Columbia is one of Canada's best kept destinations for world-class skiing - without the world-class lift lines. The mountain community of Fernie lies tucked away in a narrow valley in the rugged Canadian Rocky Mountains in the heart of southeast British Columbia. If you're planning a Canadian ski trip, Fresh Tracks will set you up with a world-class skiing adventure you'll never forget. Fernie Alpine Resort ski area lies below a long sickle shaped ridge, just four miles from the town of Fernie in the midst of the rugged peaks of B.C. 's Rockies. An historic mining town with friendly and laid back locals, Fernie has a reputation for excellent snow records, numerous powder bowls, trees and few crowds allowing you maximum skiing time. Fernie is a skier's paradise with high peaks, 'steep and deep' terrain, and spectacular scenery. Not surprisingly Fernie has now established itself as a firm favorite with British skiers looking for exciting and challenging skiing in Canada. Real powder hounds should try the local snow cat skiing. The evening shuttle makes it is easy to explore the lively bars, restaurants and shops both in the Alpine Village and on historic Second Avenue in downtown Fernie. From its boom town status at the turn of the twentieth century to its reputation as the Whiskey Gap during the prohibition era of the 1920s, Fernie has inherited a unique and colorful history. Known as a town with a strong history of coal mining, Fernie was named after mining magnate William Fernie who helped develop the town into the industry's largest centre in the Elk Valley region, after he had reported a major coal discovery in 1897 that led to the formation of the Crowsnest Pass Coal Company. The founder of the city met a tribe of Indians during one of his many prospecting trips. Enquiring about the source of the shiny black stones that adorned a necklace worn by the Indian Chieftain's daughter, the Chief agreed to reveal the origin in return for the prospector agreeing to marry the princess. William Fernie never kept his promise and refused to marry the princess, whereupon the angered chief put a curse of fire, flood and famine on the valley. On August 15, 1964, Chief Ambrose Gravelle of the Kootenai tribe, known as Chief Red Eagle, smoked the pipe of peace with the mayor of Fernie to finally lift the Fernie Curse. While the slopes of the mountains are presently the focus of economic activity, the town of Fernie has a past rooted in rich mining history. The vast Crowsnest Coal Field lies just east of the city, and Fernie owes its origins to nineteenth-century prospector William Fernie, who established the coal industry that continues to exist to this day. Fernie founded the Crows Nest Pass Coal Company in 1897 and established a temporary encampment near Coal Creek. The Canadian Pacific Railway arrived in the valley the following year, and a town site emerged parallel to the railway line slightly north of the initial encampment, or "Old Town." Today, Fernie's world-class skiing, abandoned mines, museums and heritage sites invite all types of visitors to step back in time and explore the area's bustling boom years. With a population of 5,168 residents, Fernie's winter ski brings in a fair amount of skiers as well as nature lovers. The beauty of the entire Elk Valley encompassing the town of Fernie entices campers and hikers alike. In the summer months, a challenging world-class 18-hole golf course sits at the foot of towering peaks and offers breathtaking scenery. In addition, Fernie also offers a charming downtown area with a number of 4-star restaurants, picturesque eateries, and plenty of quaint local shops. Whether you're looking to book a word-class ski holiday or you're looking to explore the pristine Rocky Mountain wilderness of eastern British Columbia, Fresh Tracks will set you up with an unforgettable trip to Fernie, British Columbia. Need more information on Skiing Fernie? Talk to one of our Canadian travel Insiders who'd be happy to answer all your questions.